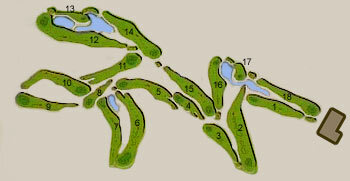 The quality of the course is very well reflected by the quality of the champions over a period of many years. Among others there are Severiano Ballesteros, Jose María Olazabal, Roberto de Vicenzo, Sergio García, Padraig Harrington or Rory McIlroy. In August of 2011, at the Annual General Assembly, Members of RCSG approved with more than 90% of the votes cast to start a profound restoration of the course, which will celebrate its 50th anniversary in 2014. The object of the project is to recover the best possible quality for the course and the works will be carried out during 2014. The intention is the construction of a new drainage system, the replacement of all grass and the reconstruction of all greens, bunkers and tees. In addition to this, the restoration of the design will be to recover the original contours of greens and bunkers which Trent Jones originally devised. For this reason the Board has contracted the services of Roger Rulewich who worked with Trent Jones for more than 35 years.